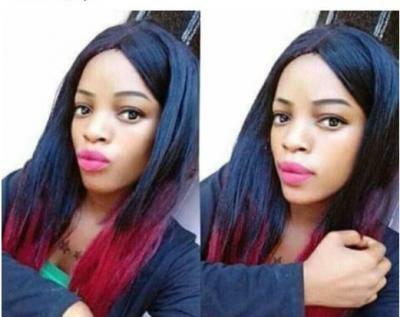 Nigerian Slay Queen Bashed on Social Media After Listing Husband Criteria (Photo). A Nigerian woman has listed some of the criteria she requires from men who are interested in asking her hand in marriage. 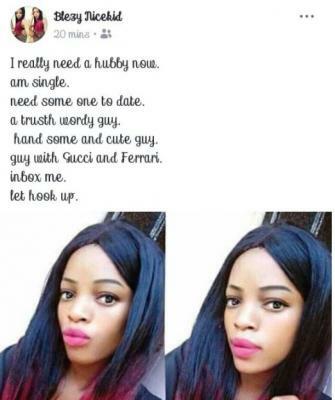 A Nigerian woman has been blasted on social media after she reportedly said that she wants to marry a man that is handsome, drives a Ferrari and wears Gucci clothes. The girl who announced that she’s single was singled out for shaming as people asked what she has to offer if not to snap photos and post on social media for likes. Some commenters told her that men who have such qualities don’t look for slay queens to marry because most are materialistic.